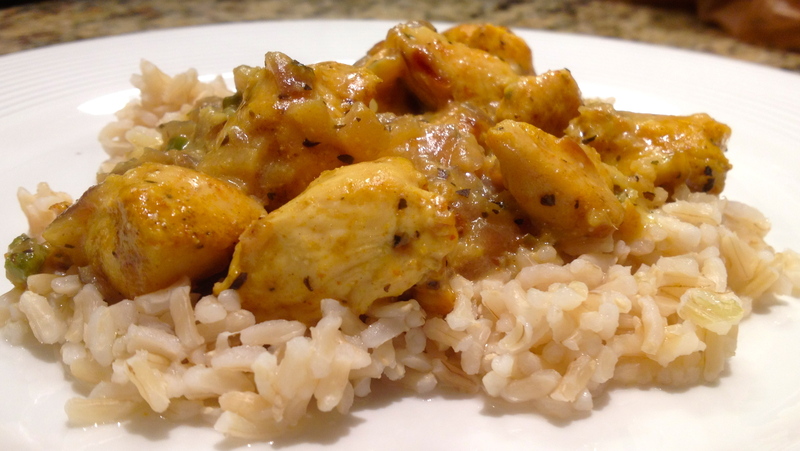 Basil Chicken in Coconut Curry Sauce | how 'bout some cake? Last night was Jason’s first real night back in town, so we (I) got dolled up for a nice steak dinner together. I always feel like a date is in order after he’s been away for a while. Since we went out last night, I made a home cooked meal for dinner tonight. 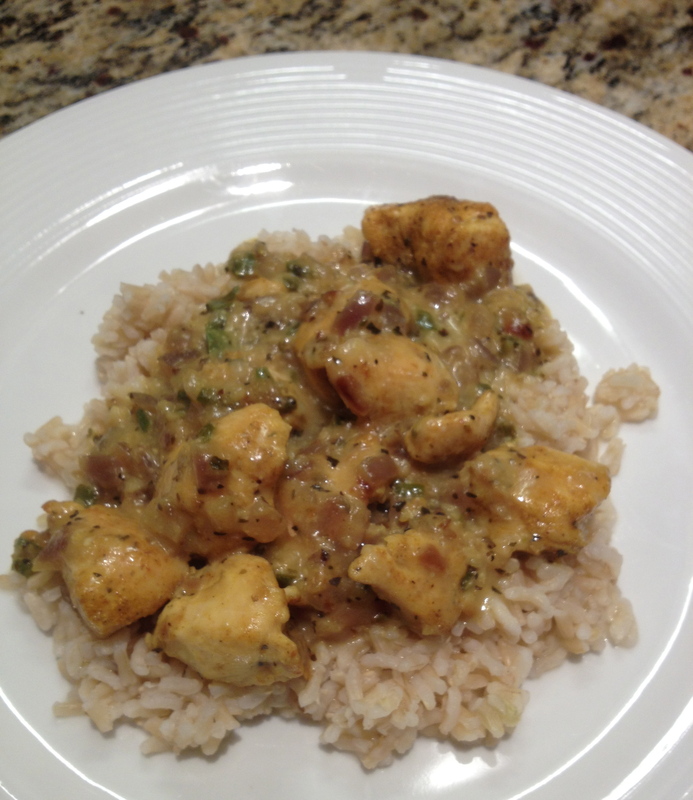 I chose Basil Chicken in Coconut Curry Sauce. Whenever I get the itch to cook or bake these days, the first place I go for inspiration is Pinterest. This recipe is something I’d pinned onto my food board a while ago. I made it exactly as it’s written, except substituting brown for white rice. And I’m sorry to say- it wasn’t that great. I mean it was good, but it was also a fair amount of work. We’re not throwing any away, but I probably won’t make it again. In fact, this is the second recipe I’ve tried off Pinterest that has failed to wow me. 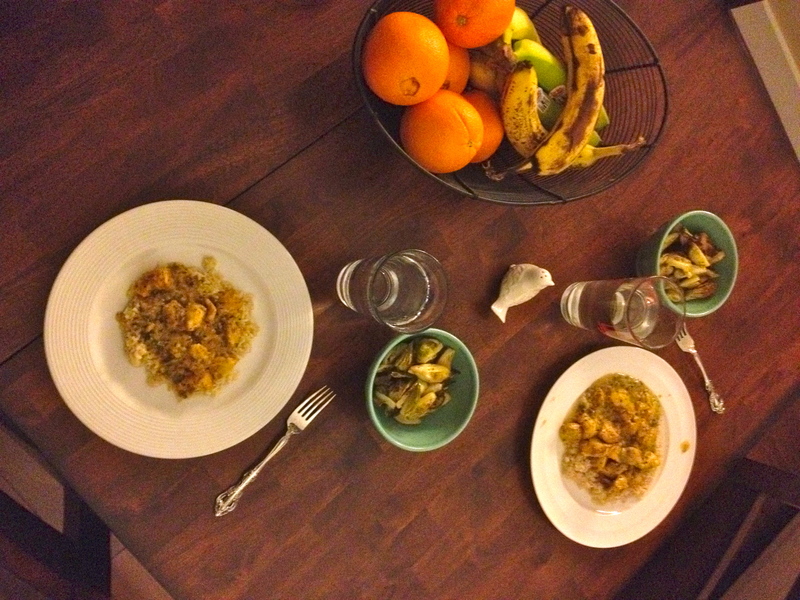 At least the Brussels sprouts I made as a side were delish. Maybe I need to re-evaluate my strategy. Maybe I should tap into some of those cookbooks… Where do you get your recipes? 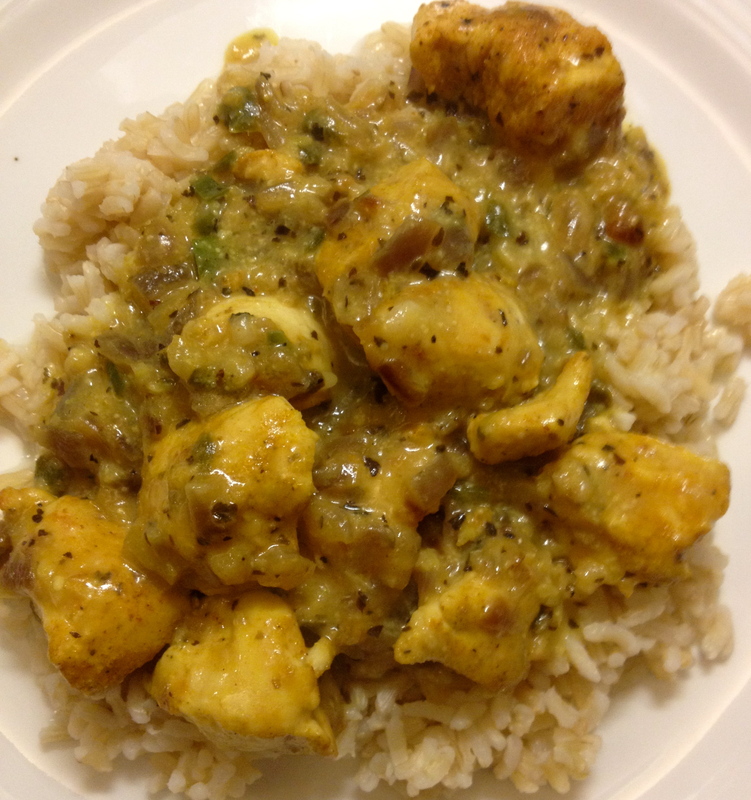 This entry was posted in Food & Recipes, Uncategorized. Bookmark the permalink.